New Pools owner Raj Singh, flanked by director of football Craig Hignett. 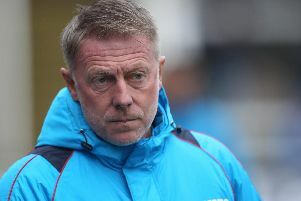 Hartlepool United’s new manager could be appointed just 48 hours after the club’s final National League game of the season - but it will not be former Darlington boss Martin Gray. The Mail has learned that Pools have a shortlist of FOUR candidates, all of whom have been interviewed for the position. Contrary to rumours, one of those quartet is not current York City manager Gray, who left Darlo earlier this season after a number of successful years at Pools’ rivals. It is understood Gray was one of a number of managers considered prior to the takeover, as Pools new owners explored all options to arrest the decline. But interest is said to have ended at that stage. Current caretaker Matthew Bates will be in charge for the final league fixture of the campaign tomorrow against Tranmere and he remains on the shortlist. Bates has impressed the Pools hierarchy, having, with limited resources, steered the ship safely away from choppy waters when he took over from Craig Harrison. The 31-year-old has met with Pools’ chiefs twice since they agreed to buy the club. Blyth Spartans’ Alun Armstrong is a name that never goes away and it is understood he is likely to the leave the National League North club this summer. Matthew Bates will remain in caretaker charge this weekend at Tranmere. Armstrong, who is keen to test himself at a higher level, is a former Middlesbrough teammate of director of football Craig Hignett and the duo both missed out on the recent Gateshead vacancy, when Steve Watson was handed the reins at the International Stadium. Jason Ainsley of Spennymoor Town is another who has been linked. Time is of the essence for Raj Singh and Hignett - the club are keen to get the new man in as soon as possible. They want to give the new boss the best possible opportunity to make the raft of changes needed to turn Pools into a fifth tier force. And the decision could well be made within 48 hours of the close of play at Prenton Park, meaning any new manager could start his work next week. Talking about the need to get someone in promptly, Singh recently said: “I am pleased that the efforts over the last three months have brought this together but I know that the real hard work starts now. 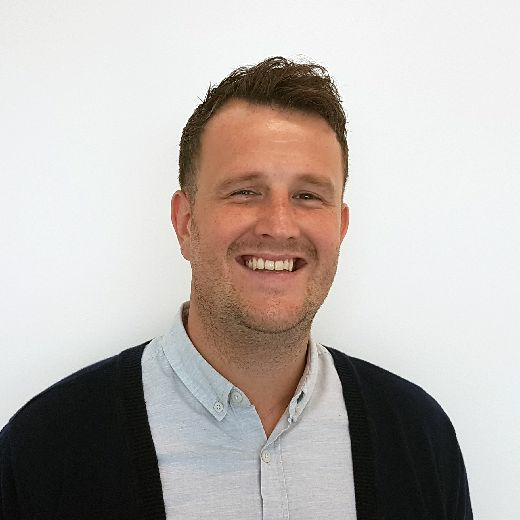 “We’re already looking at making the appointment of a new first-team manager and we met with Matthew Bates to discuss it. “We will be talking to other people about the vacancy as well, because we have to make sure we get the right man for the job and let him get on with it as soon as possible.